There are different kinds of hard money lenders – some who only work in certain states, some who only lend to certain types of deals, etc. So the very first tip to know how to find hard money lenders in Georgia is to figure out why you need the money. 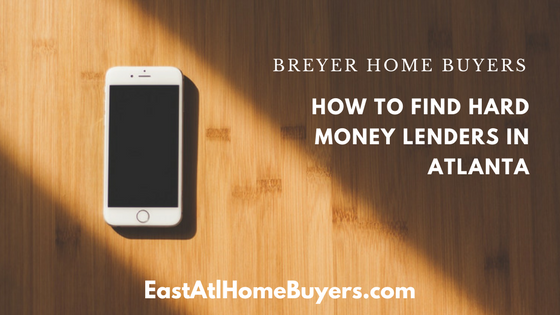 An online search of a term like “hard money lenders in Georgia” will help you find some hard money lenders near you. Of course that’s just the very first step – the may not all lend within the parameters that you need but at least you have a starting point or “short list” to start digging in and seeing who can help.